Steal all the stares in this occasion worthy dress. Featuring a white lace material with a choker design, daring plunge neckline and a thigh-high split. 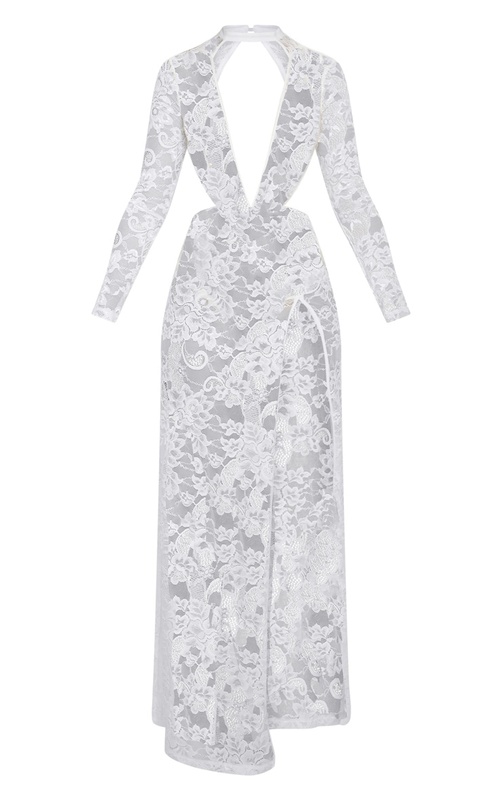 Style this maxi dress with sky-high heels and some statement jewellery.